While modern day Mardi Gras might be associated with debauchery, the classic Carnival celebration stemmed from a more traditional beginning. Filled with music, masquerade balls, delectable fried goodies and sweets, carnival is the annual festival that culminates on Shrove Tuesday (also called Fat Tuesday) - before the Christian practice of Lent begins. Carnival packs in all the merriment ahead of the 40 days of abstinence and austerity that Lent entails. Despite the common foundation of the tradition, the actual celebrations vary widely depending on the city that is throwing the party. From India to Brazil, Europe and the United States, here are six of the best places in the world to celebrate carnival. Just remember to pack your fancy dress! Venice has celebrated carnival for centuries. However, the use of masks was outlawed under Austrian rule in the 18th century. The carnival returned with a vengeance in 1979, and Venetians artisans reclaimed the nearly lost of art of mask production. 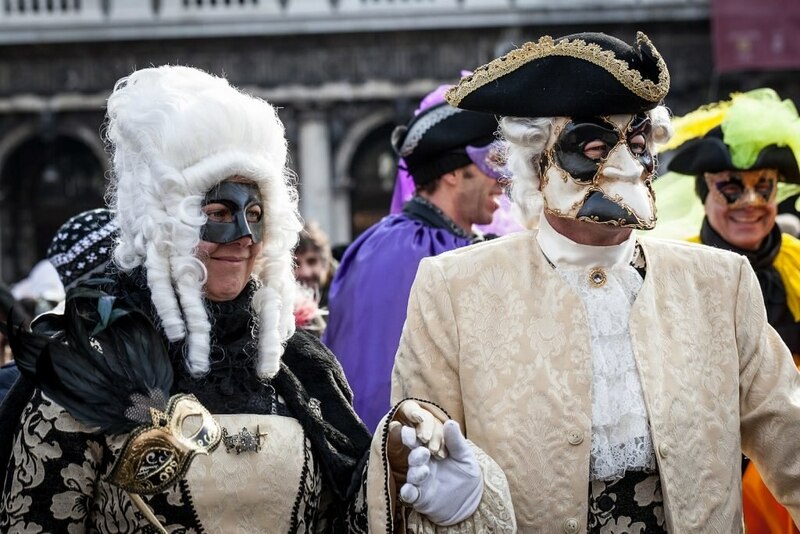 Today, the elaborate costumes that are paraded through St. Mark's Square compete for the top prize of la maschera più bella - most beautiful mask. Notice that the most popular masks all have a pointed nose and no mouth? The gilded beauties are designed so that the revellers can eat and drink without ever having to remove the disguise. Party on! 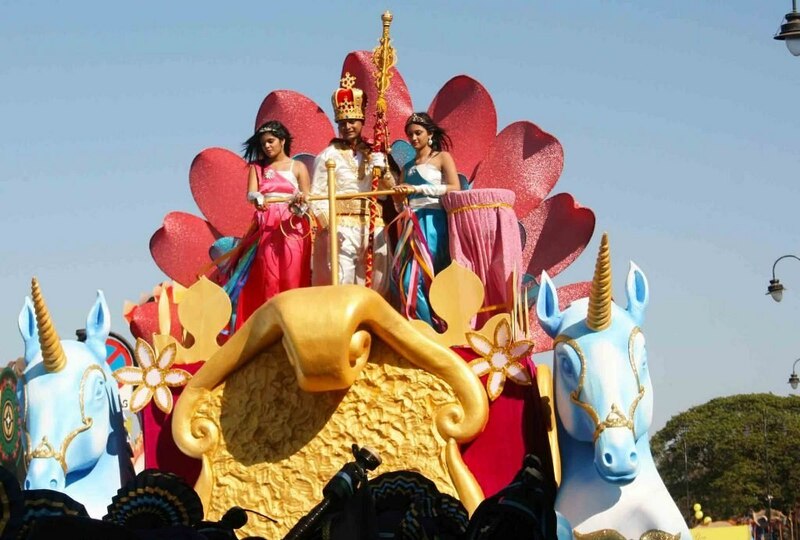 Goa's carnival of floats and fancy dress is the only of its kind in all of India. The celebration has its roots in the former colonial times, when the Portuguese brought their carnival traditions with them during the spice trade. In Goa, the annual festival has evolved to include Hindu traditions and revelry. The most important float hosts King Momo, who rules over the four-day festival. The merrymaking culminates with the famous black-and-red dance - where the coloured dress code adds to the party atmosphere in the beachside destination. Rio de Janeiro hosts the world's largest carnival - with crowds estimated to pass more than 2 million per day during the festival. 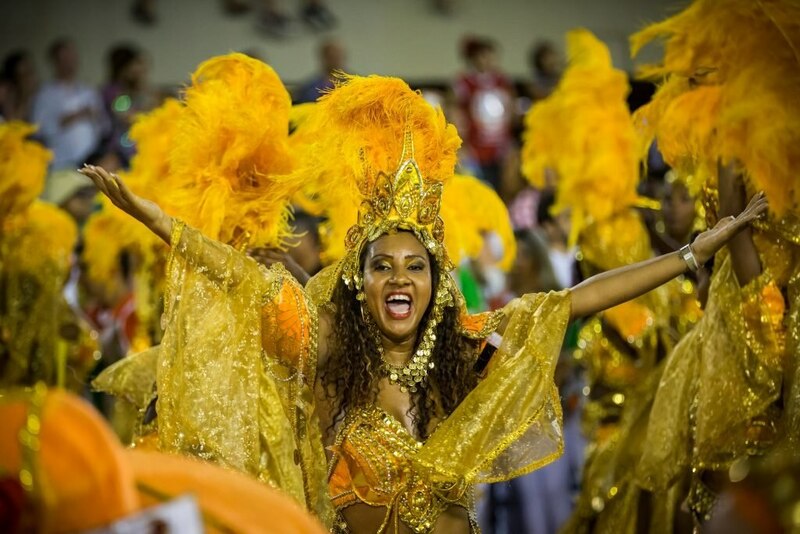 Elaborate costumes, towering headdress and bedazzled floats define the Brazilian take on the worldwide party. The mesmerising samba competitions between rival dance schools are the highlight of the over-the-top merry making. If you want to try out your dancing shoes after the parades, gorgeous balls are held at the Copacabana Palace and along Rio's famous beaches. 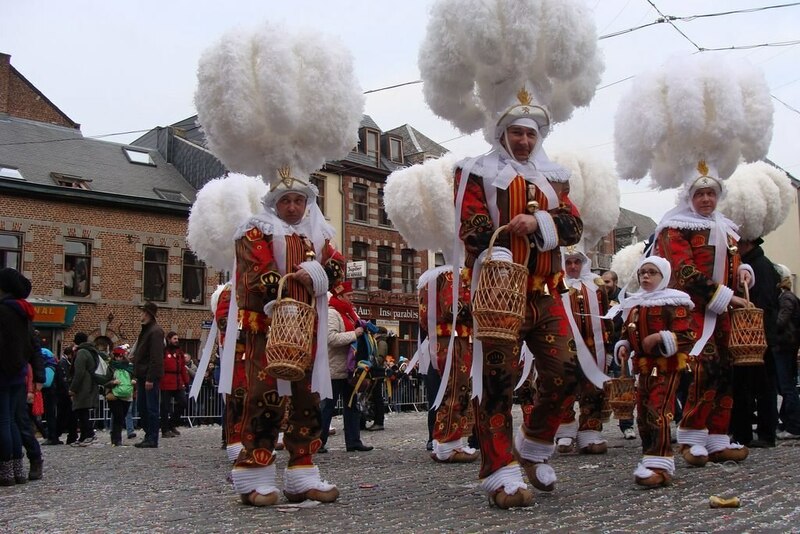 Binche's carnival has been recognised as intangible heritage by the United Nations Educational, Scientific and Cultural Organisation. Central to the parade are the Gilles - clown-like performers who wear wax masks, immense ostrich feather bonnets, wooden clogs, and carry sticks to ward off evil spirits. Watch out for them on the last day, when the Gilles carry baskets of oranges and launch the fruit into the crowd. The biggest carnival in the United States is undoubtedly in the southern state of Louisiana. New Orleans's Mardi Gras celebration is often associated with images of Bourbon Street and plastic necklaces. But the public debauchery is just one side of the festivities. 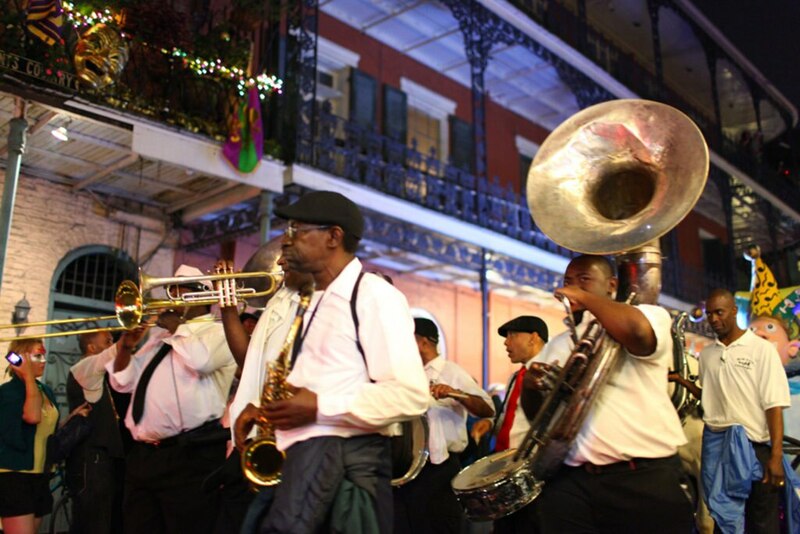 The tradition of carnival in New Orleans was established in the 1700s. Today, the parades are organised by krewes (social clubs responsible for different parade routes). New Orleans residents also have a tri-coloured cake to go along with their colourful processions. The sweet brioche King Cake can only be consumed during carnival season. A small plastic baby is baked into each cake, and whoever finds the trinket in their slice is said to have good luck for the rest of the year. It can be hard to pick just one location to celebrate carnival. Luckily, you can keep the party going in Switzerland - which celebrates carnival one week after the rest of the world. 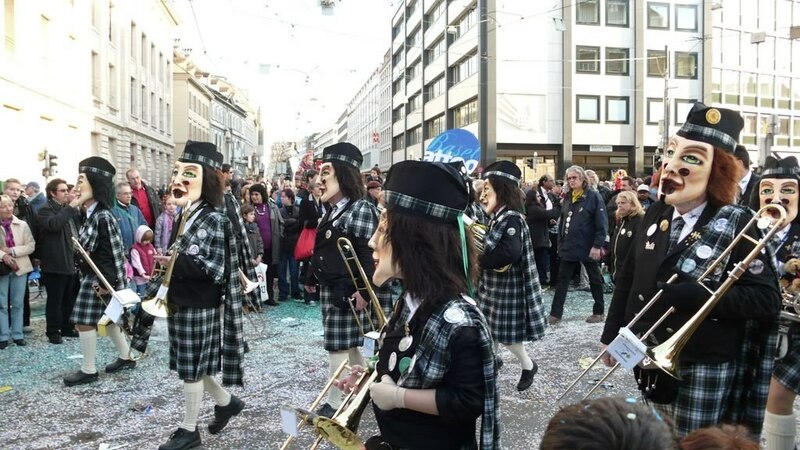 Known as Fasnacht, Basel hosts their festival the Monday and Thursday after Ash Wednesday. When the clock strikes 4 am, the carnival begins with fifers and drummers wandering through the streets. The four-day party includes plenty of masks, beer, and confetti - what more could you need? Have you ever celebrated Carnival?